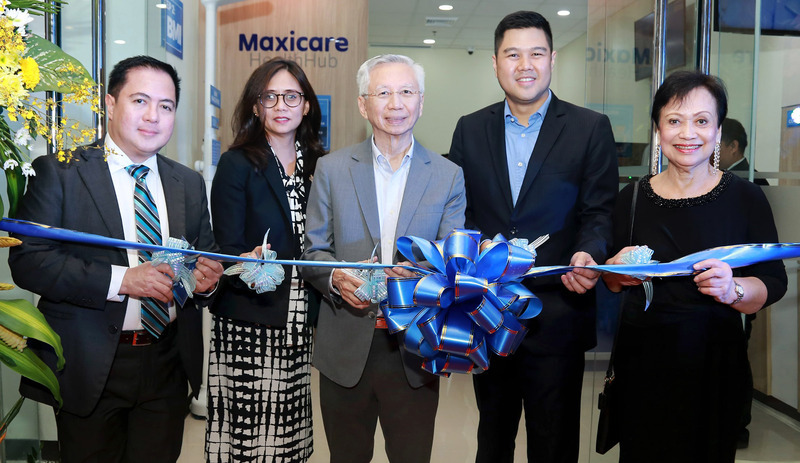 Maxicare Healthcare Corporation recently launched two new facilities designed to offer convenient access to top-notch healthcare service for members in Cebu. The Maxicare HealthHub is a three-step self-service healthcare facility that features cutting-edge technology to simplify the process of going for a medical consultation, while the Maxicare Primary Care Center offers outstanding services through its state-of-the-art medical facility and a list of highly qualified physicians. Members can avail of services such as consultation, laboratory test, X-ray, ECG, and Ultrasound, among many others, in as fast as 30 minutes. You can find the newest Maxicare Primary Care Center at the Cebu Business Park and the Maxicare HealthHub at Robinsons Galleria Cebu. Photo shows Maxicare chief marketing officer Archie Rillo, chief digital & transformation officer Sylvia Stolk, chairman of Equicom Group Antonio Go, president and chief executive officer Christian Argos, and chief medical officer & medical director Dr. Erlinda Tiuseco. Previous : Shop or dine to get a chance to win a Maldives Getaway with SM and Visa!